A nightclub singer has nightmares about being involved in adultery and murder, only to wake up and find that they may not be nightmares. 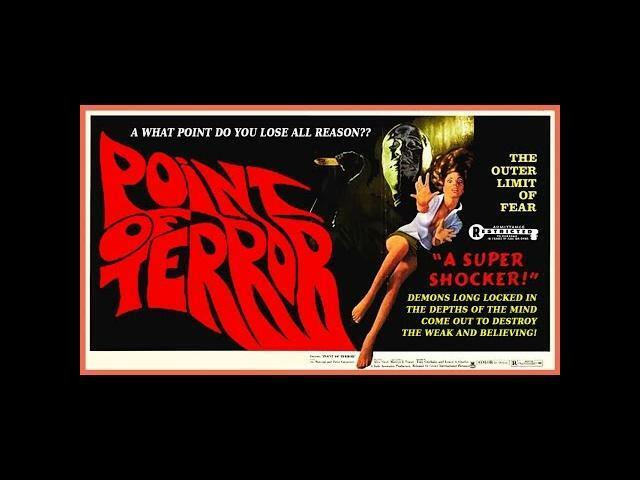 Point of Terror is a 1973 horror? film directed by Alex Nicol, starring Peter Carpenter, Dyanne Thorne (Ilsa, the She Wolf) and Lory Hansen. Tagline states, "All the screaming in the world won't help! ". One of the more accurate descriptions for this type of film. A lounge singer meets a woman who claims she can get him a recording contract, but then people start dying (2 I think).